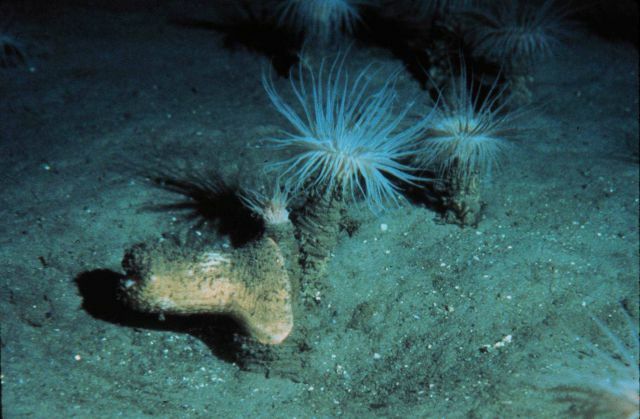 Cerianthid anemones are common on the continental slope in the north Atlantic. Cerianthus borealis. Photo Location: Atlantic Ocean, offshore New England.